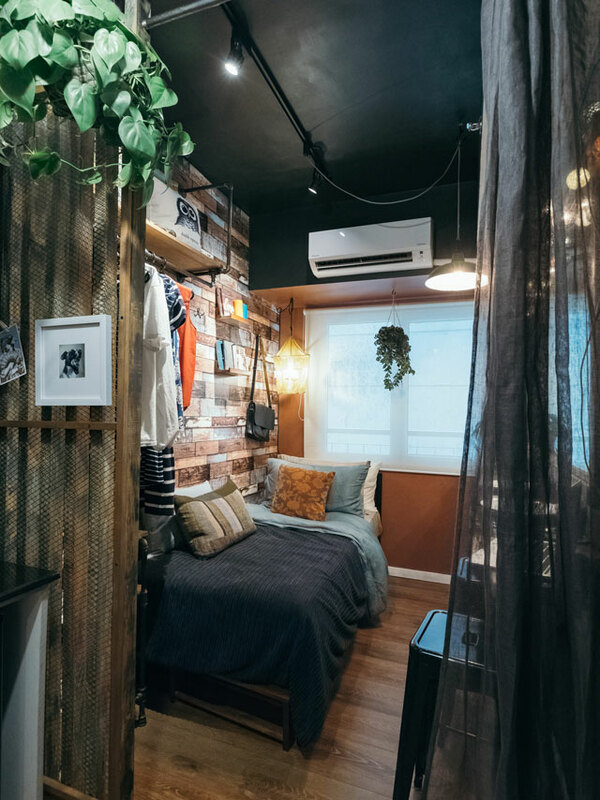 Who knew that a 15sqm studio unit can be transformed into a cozy pad complete with a bathroom, a kitchen, a sleeping space, and a dining area? We’ve seen how homeowners can cleverly inject storage solutions, style, and personality into the tiniest of nooks. 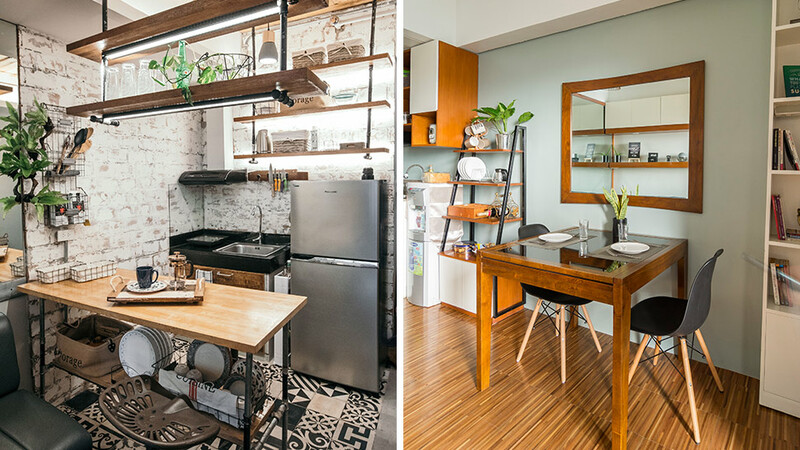 This year, we were blown away by the creativity found in each condo home we visited. We’re sure that you’ve got a lot of pegs bookmarked from this year’s featured small spaces. We revisited the condo units, ranked them according to views, and finalized our top 10. Is your favorite on the list? 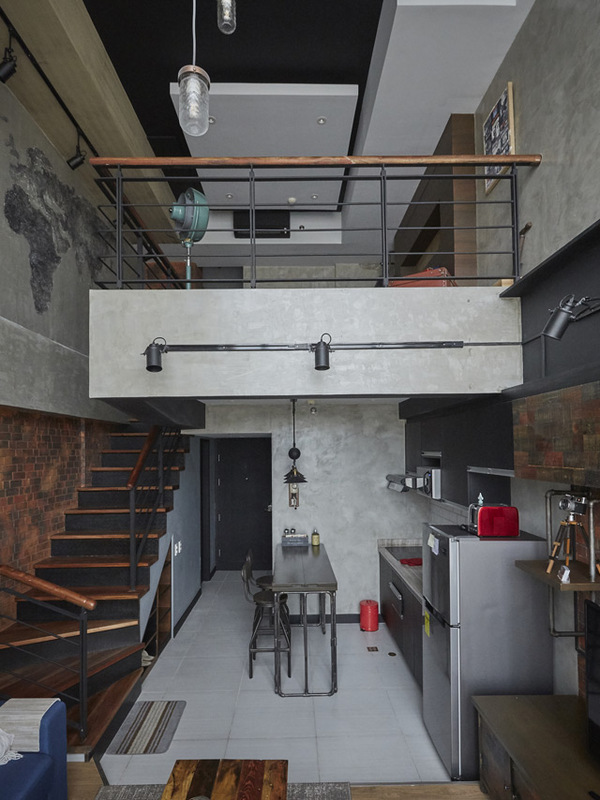 Reminiscent of a New York flat, this loft-type condo designed by interior designer Kenj So features vintage-inspired accessories, distressed details, and materials that complete an industrial style. While Kenj admits that tackling the said style was a challenge, he was able to deliver the project by constantly communicating with the owner and working with a team of reliable professionals. Though the unit has mostly dark finishes, it's kept inviting and spacious—thanks to the huge windows. The concrete walls also provide balance against the brick and wooden elements. It's always amazing to see how readers were able to realize their dream homes. Roselle, the owner of this unit, envisioned a bright and welcoming space filled with modern Scandinavian elements. To achieve this, she opted for brick walls, bleached pine wood, and a monochromatic palette. After the renovation, the unit became Pinterest-worthy. 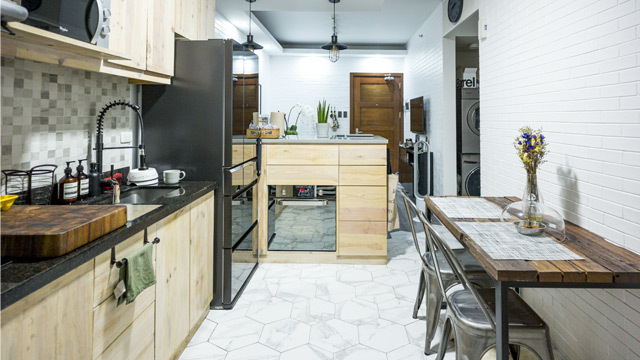 White brick walls serve as the backdrop for her collections and the kitchen is definitely envy-worthy with its chalkboard walls, wooden details, and aged-bronze fixtures. The best part? She shares the space with her cute furbaby. 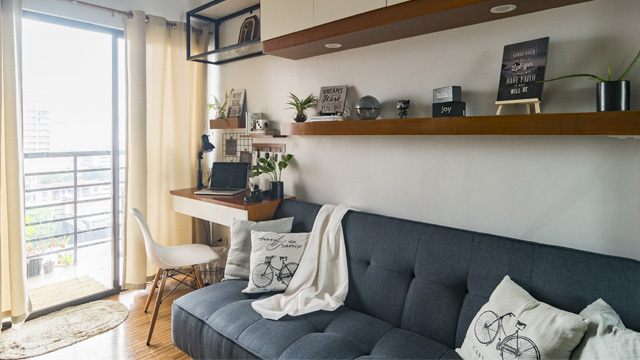 It took interior designer Vera Villarosa-Orila and her husband Jek seven months to transform a bare 50sqm unit into a charming starter home. After finalizing their non-negotiables, they started sourcing and shopping for their space—even scoring bargains along the way. Read about how Vera worked on their unit here. Our favorite areas in the unit are the dining area and the bedroom. The addition of an accent wall of faux greens brings the outdoors in, while the country vibe of the bedroom makes it even more relaxing. 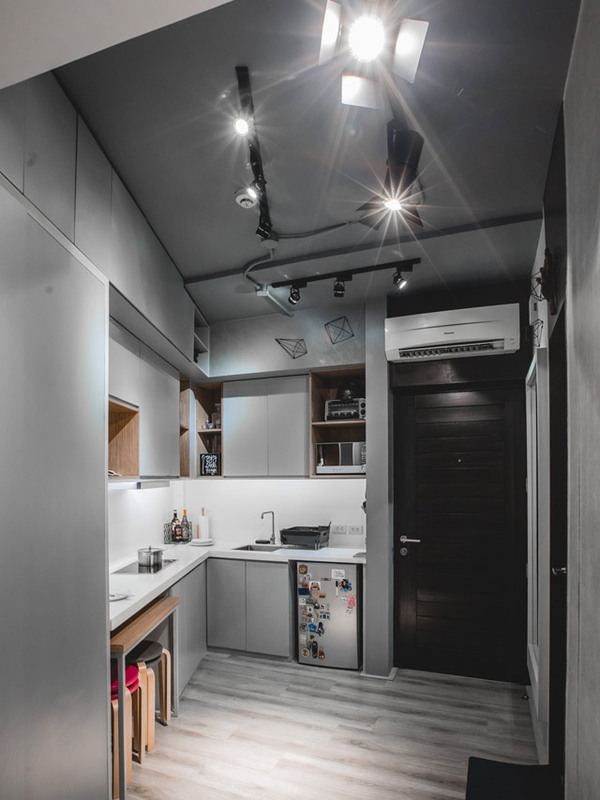 7 A 15sqm Studio Unit — The Smallest We've Seen! 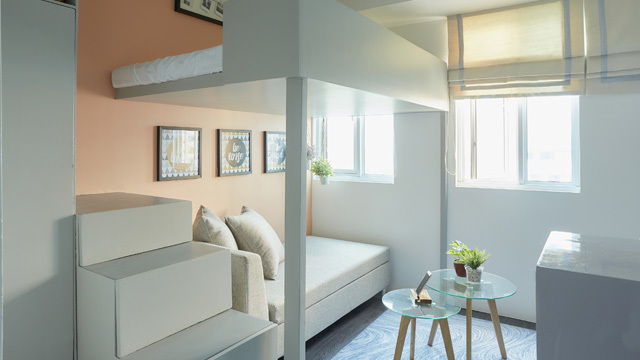 When we got the email about a 15sqm unit in Manila, we got eager to see how Hong Kong-based designer RG Rosso was able to maximize the teeny tiny space. RG made it work by focusing on "design features that create depth rather than a minimalist approach to furnishings." 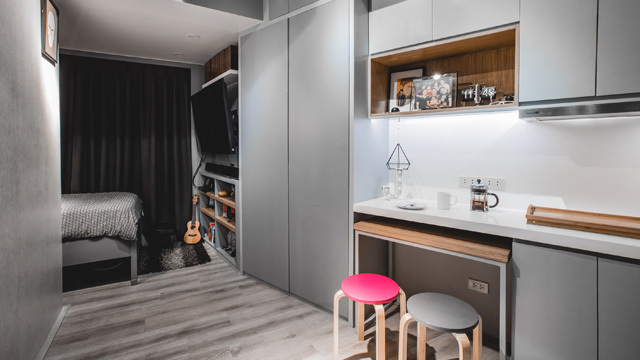 The unit highlights deep colors, warm lighting, and huge pieces of furniture that all work together to create a cozy home. The owner can enjoy a rewarding sleep, have enough space for his belongings, and even invite a couple of friends for a casual get-together. 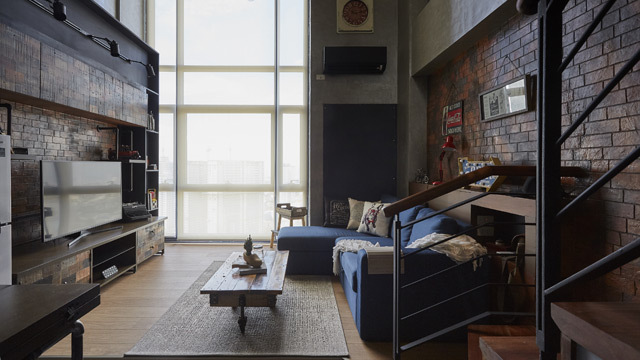 We're used to seeing clever storage solutions in many small homes, but have you ever heard of a loft in a studio unit? 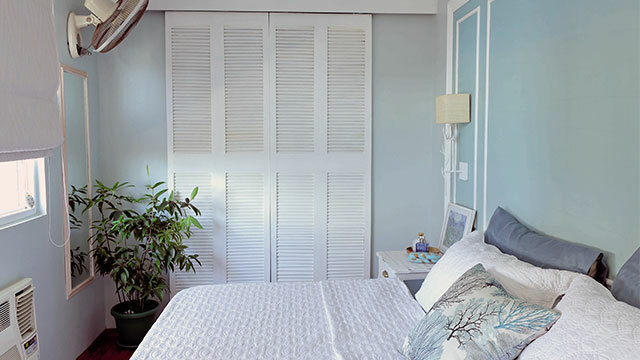 Interior designer Nikki Audine came up with an industrial-country inspired look to help the homeowner improve her space. Since keeping it welcoming is a must, Nikki thought of adding a loft to maximize the space. 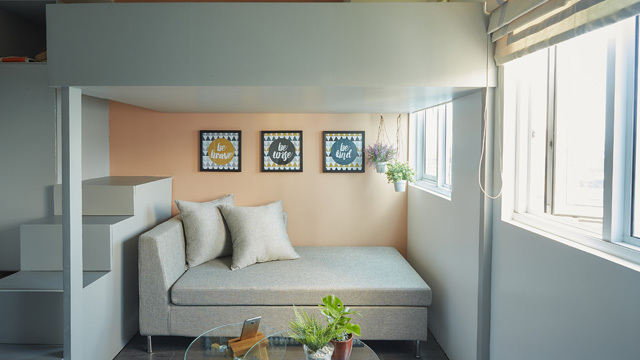 The loft has steps leading to the sleeping space that double as storage, while the area underneath functions as a living area/reading nook. Tirelessly sourcing for the right pieces that are affordable and can fit in the space helped the designer complete the look. Many of the units we featured were bought as investments. 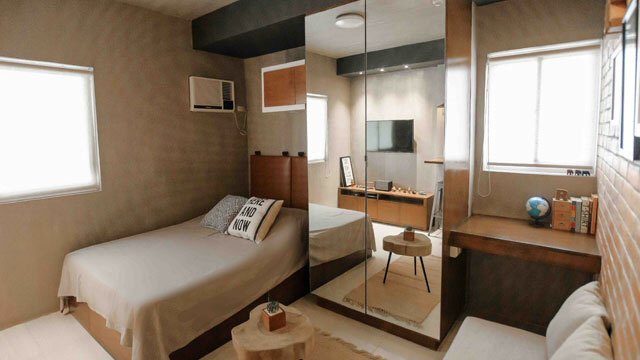 This 36sqm unit designed by interior designer Tala Singson needs to be flexible enough to appeal to renters, allowing the occupant to personalize the space. To accomplish this, Tala worked with a neutral color scheme, natural finishes, and an open layout. 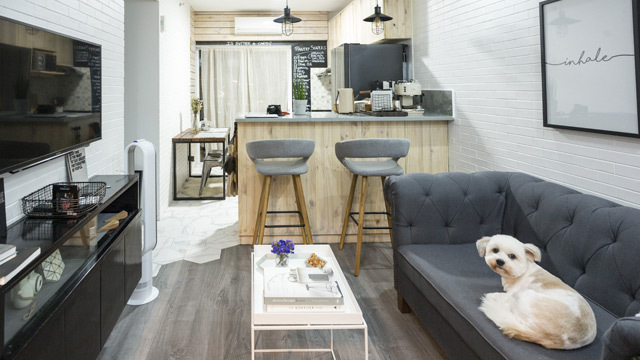 The compact dining nook is quite a charmer—with a dining set that will remind you of country homes and quaint cafes. It also shows that colorful prints and postcards can instantly liven up a plain wall. Would you believe that this unit is owned by a college student? Her mom worked and collaborated with interior designers Pam Laserna and Joan Reyes of LAHUBRE Designs to create a look that's homey and inviting. 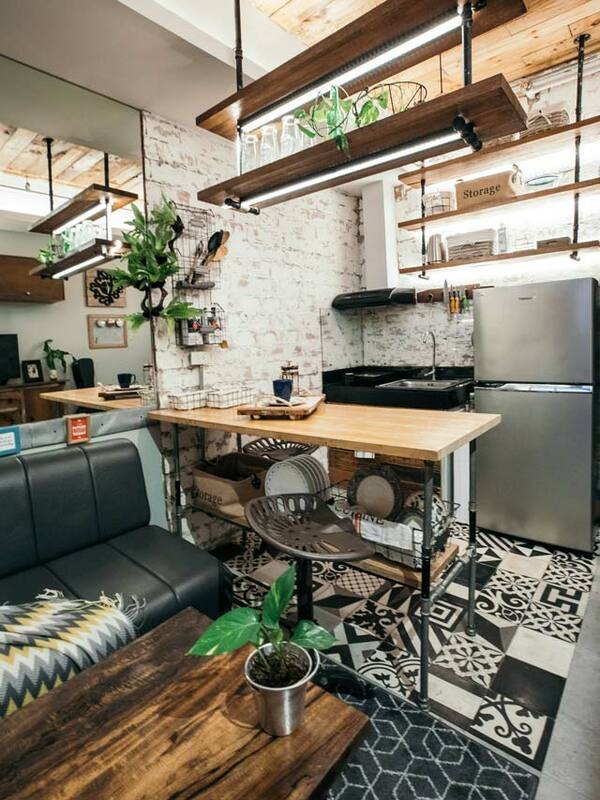 Reminiscent of coffee shops, the rustic-industrial unit features a mix of textures, patterns, wooden elements, and other materials that make it unique. Our instant favorite spot (aside from the bedroom) is the kitchen—with its mortar-smeared bricks, hanging shelves, and Machuca tiles. 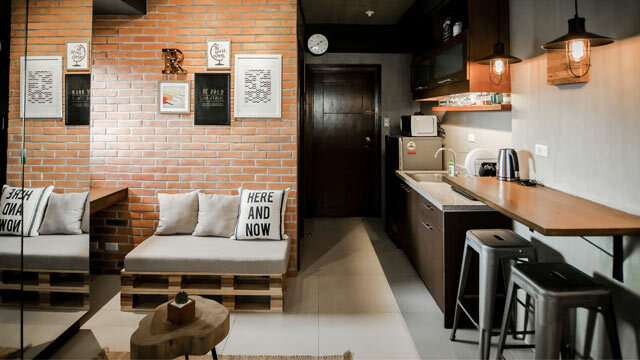 With the help of a trusted contractor, the owner of this unit turned the 22sqm space into a modern-industrial haven. The owner was hands-on throughout the project, carefully choosing the colors, materials, and decor to be added. Concrete walls worked well with the brick accent pieces. To maximize every inch of space, most of the furniture were customized. Mirrors were also utilized to create an illusion of a bigger space. 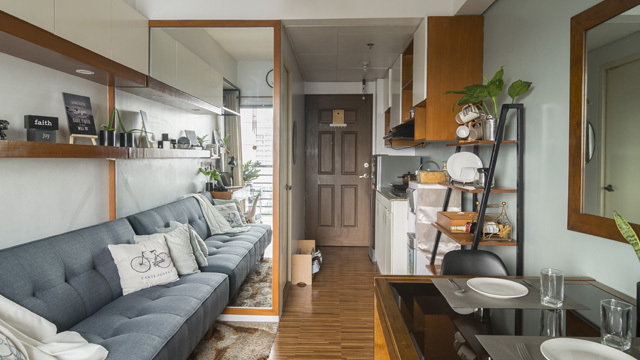 Yes, this unit will give you #smallspacegoals. Vlogger and host Jazper used to have a lot of stuff in the unit, but in 2016, he decided to redesign his space. 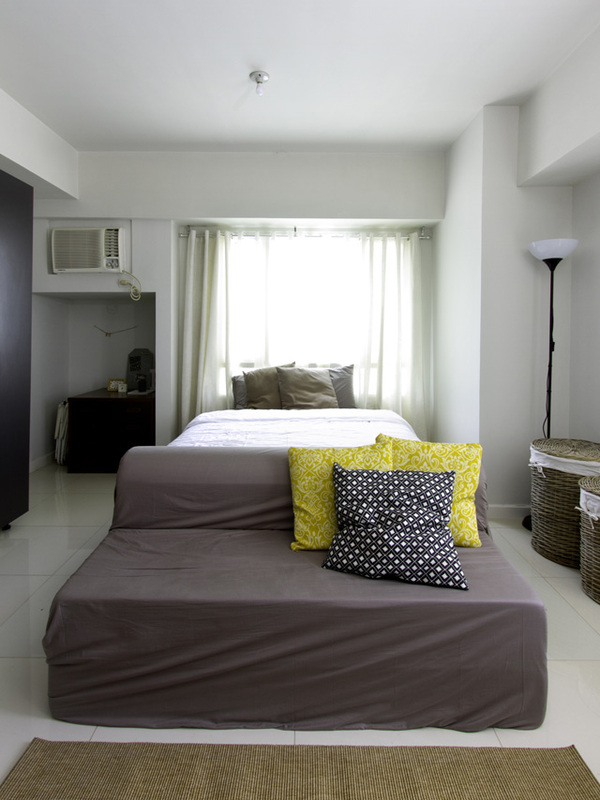 He worked with William Brothers Manila and interior designer Rod Lascano to make the space more livable and functional. The studio unit now has an open layout, a palette that's easy on the eyes, and built-in storage nooks that add to the streamlined look. Jazper's kitchen and dining areas can also transform into a work area when needed—the table can be easily pulled out and paired with a stool. What can you do with a P76,000 budget? 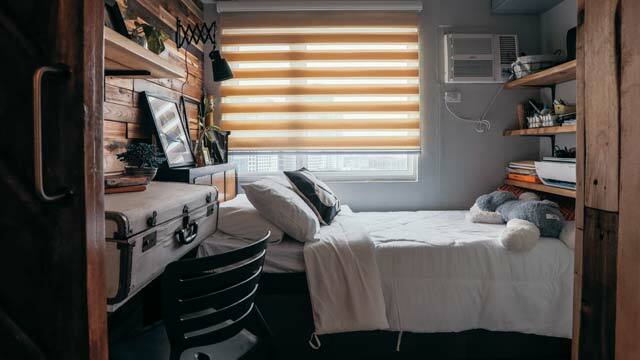 Arvin Ramos, an interior design student from the University of the East designed and renovated his brother's condo home as his thesis project. With a unit measuring 20sqm, the challenges indeed doubled. 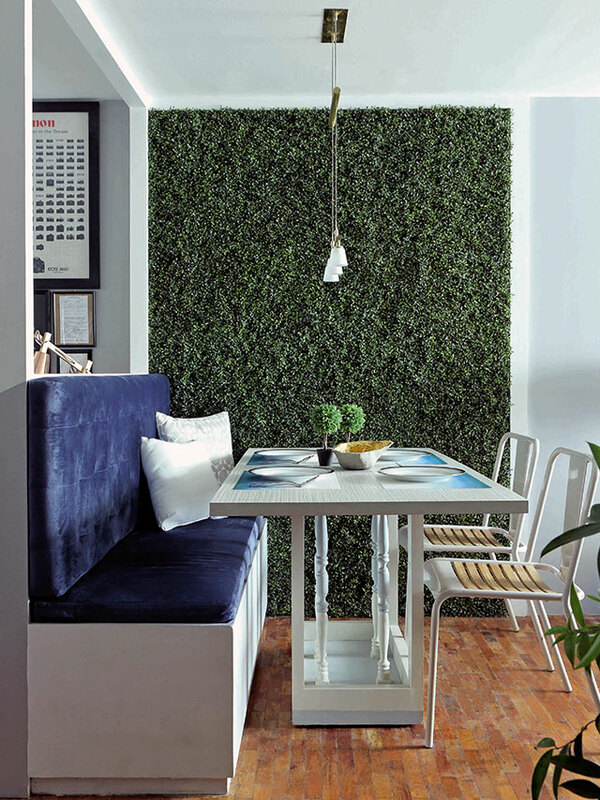 To maximize the budget and the available area, Arved worked with an open layout, natural shades of wood, indoor plants, and tried-and-tested small space solutions. He also shopped wisely. Arvin visited Dangwa, Quezon City Circle, and different stores to look for affordable finds. The magic of neutrals paired with wood, injecting exposed metals, adding pretty shelves, opting for simple accessories, and having a refreshing accent wall make it a winner.